I absolutely love it when a new Madden game comes out. It signals two very distinct things I care about. One, it means that football season is about to start (no, I don’t care about the pre-season). Two, the most exciting part of the gaming industry year is about to begin. Madden has been the one game that gamers can count on to kick off the usual explosion of gaming titles we’ve been clamoring for all year long. There’s another tradition more than a fair share of Madden players do every year. They weigh on whether this year’s title is better than last year’s. They debate for a few weeks as to whether or not the new entry into the mega-franchise is worth the pick up. 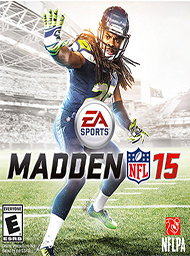 Some wait until the following year, some buy, and then on very seldom instances, some will wait until Madden has “been updated enough.” While last year’s entry was an impressive one for the next-gen, and should mean by the above logic, that it is ok to skip this one, but I can’t agree. 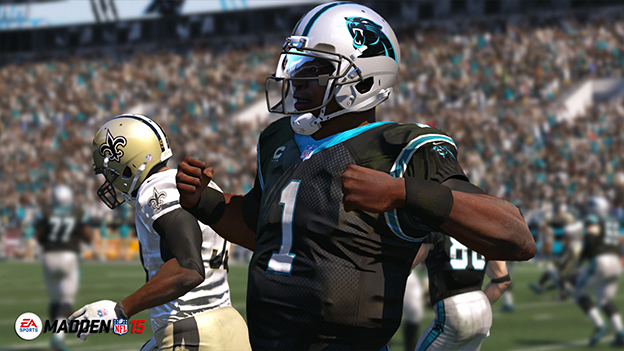 Simply put, Madden NFL 15 is something you don’t want to miss. The best thing about the Madden franchise to me is the familiarity. There’s never been a Madden title that made me feel like I had no idea what was going on. It’s one of the main reasons Madden has been such a long standing sports game. 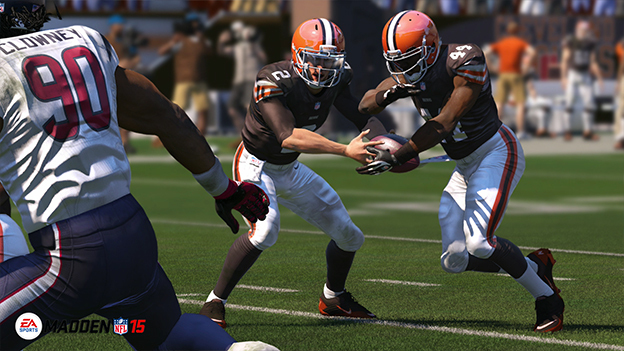 People like familiarity and Madden NFL 15 soars above expectations in trying to keep this tradition going. For example, Skills Trainer. Skills Trainer is designed to ease players into the gameplay mechanics. Teaching them the essentials as well as helping them grow their own personal play-style for the inevitable online matches they will be dominating. In Skills Trainer, players get the chance to explore some of the in-game functions they may never have known how to fully control, e.g. Acceleration Burst and Total Control Passing. Admittedly, I always assumed I was using these things effectively but going through the Skills Training allowed me to better hone those abilities. In addition to these things though you will also learn how to read the field, have a better understanding of exactly what Cover 2 means, and discover the right moment to pass the ball versus tucking and running. You also have the Gauntlet. If you have ever wanted to play Madden with Boss battles this is where you need to be. In the Gauntlet you have 40 increasingly difficult levels to plow through. Every fifth level you have a Boss battle, not your standard boss battle but you’ll get the idea when facing slightly more difficult stages and CPU players. You also start out with five lives. Spend them and it’s game over in the Gauntlet for you, well until next time you load it up. To me this was an interesting way to allow players to continue honing their skills while adding an element of fun to the game. But what about the actual game? How is this year’s different than last year’s and all the year’s before? The best thing I can say about this year’s Madden is that it is all about the “D”. While it’s been long standing that Madden continuously refines the offensive line with each entry, the defensive line has always seemed a little less shiny. Sure we were able to pick our play to the best of defensive abilities, but it almost always felt like that once that selection was made; you were taken out of the game to see what happened. I know, you were able to control the defensive line, but more often than not (by even seasoned Madden players) it felt like you were button mashing until your next play. Disrupting the Line is one of my new favorite aspects of the defensive line. You can shed the blocks with power and finesse moves that have been added to the thumb stick as you play. If done correctly, players will see prompts appear over their player’s head. Pressing them when prompted will allow you to get into the backfield and truly disrupt the quarterback’s calm. It’s always a rush of excitement when you tackle a quarterback. Even more exciting when you get the feeling the CPU quarterback is now afraid of your defensive line. One other big change that I enjoyed is the cone of execution the player will have as they approach a target. The cone gives you more precise control of how effective your tackle is going to be. For example the darker the area of the cone the stronger your chance is for a tackle. You also now have the ability to prepare your tackle before it happens. This ultimately allows you to smear the field with your target as you parade around slamming your fists into your chest (in the game of course). There are a few other nuggets of Madden NFL 15 that I am sure you will love, but I don’t want to spoil anything because there are a few new additions I love and am glad were not spoiled for me. Trust me though, they are very solid additions to the franchise and I can’t wait to see how they refine them with each future installment. Okay, fine, I will share about one other. Remember how I said it was all about the “D” this year? Well this next small feature truly acknowledges that.